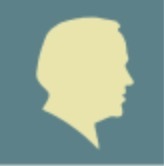 The Henry M Jackson Foundation was founded in 1983 to continue the unfinished work of the late Senator Henry M. “Scoop” Jackson in the areas in which he played a key leadership role: international affairs education, human rights, environment and natural resources management, and public service. Through its grant making and strategic initiatives, the Foundation seeks to make a lasting impact and perpetuate the Jackson legacy for the benefit of future generations. Participation in strategic initiatives is primarily conducted on an invitation-only basis; however, interested individuals may contact the Foundation’s program officer to discuss potential partnership ideas that are consistent with Foundation interests and priorities.